Another Europe trip this year, very exciting! Back to the Mediterranean again but in the Western Mediterranean this time to the East coast of Spain. I met up with a friend in Toronto and we flew to Barcelona, our first stop. I was here once before in November 2007, it is such a beautiful city I was happy to return. Although it was nice when I came in November, I love the hot weather so I like the temperature in August much better, even if it has been a bit cloudy. Gaudi’s house in Park Guell. 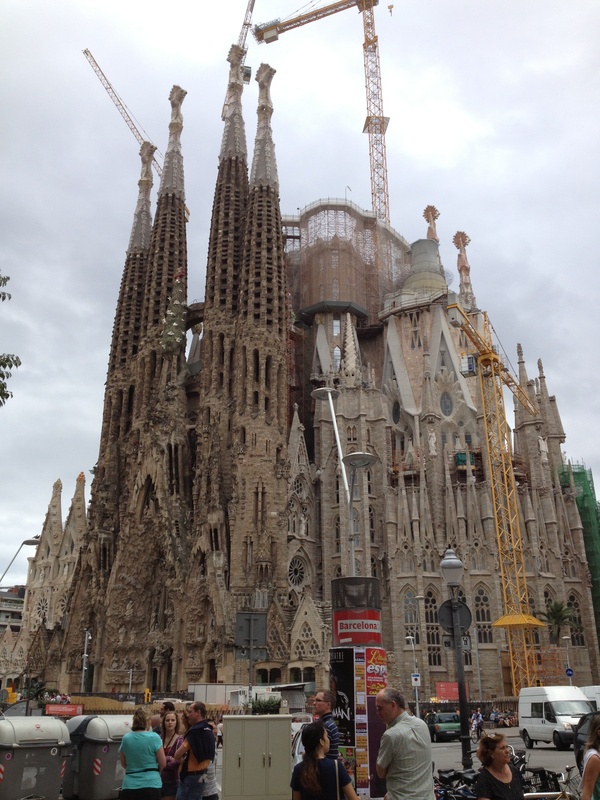 We decided to stay at a hotel near La Sagrada Familia beside Hospital de la Sta. Creu i Sant Pau, an old hospital that looks more like a moorish palace than a hospital with its domes and mosaics. The area is convenient to get anywhere in the city as there are multiple metro and bus stops nearby. We walked to La Sagrada Familia which is the basilica designed by Gaudi that has been under construction for over 100 years and is still not finished. I recently read an article stating it would finally be completed in about 12 years. It is an awesome structure with soaring towers and a unique design. Everywhere you look there is another interesting, and often unexpected, aspect to the exterior, including bunches of grapes at the top of one of the spires created using a mosaic design or the tree which appears to be a Christmas tree over the main entrance. To see all of the intricacies of the design it would take a lot more than just one visit. Sadly the tickets were sold out for the day so we only saw the outside. 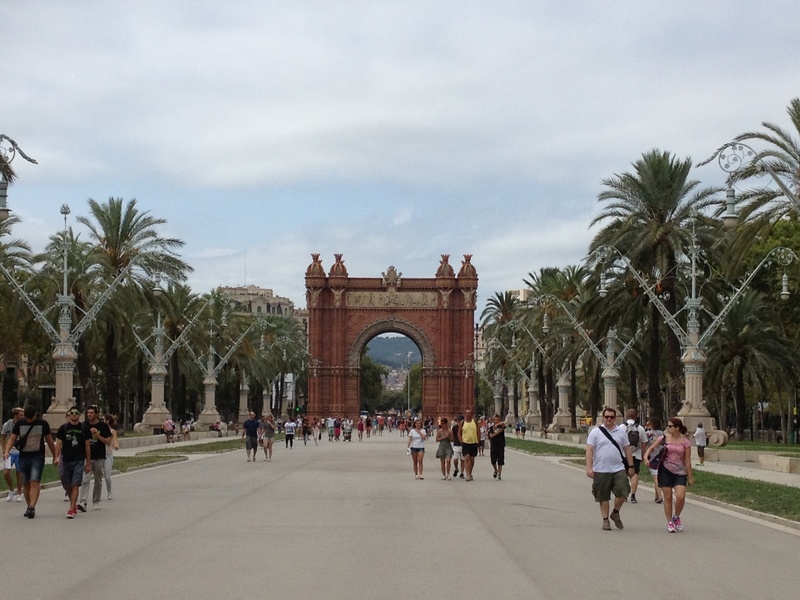 We decided to head for the old centre and walked toward the Arc de Triomf. 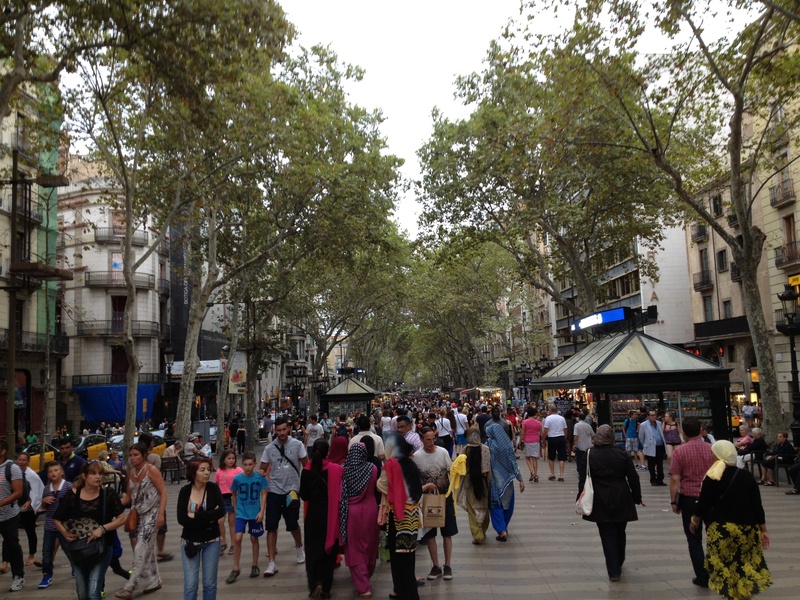 It is a beautiful walk from La Sagrada Familia along a wide boulevard with shops and cafés. We walked under the Arc and strolled along a wide path lined with trees between two green spaces. There were street performers and locals wandering around or sitting on the grass. We continued on towards the sea and walked along the water to La Rambla. We spent the rest of the day and evening wandering around La Rambla and Barri Gotic. There were street vendors and performers, shops, restaurants and cafés. 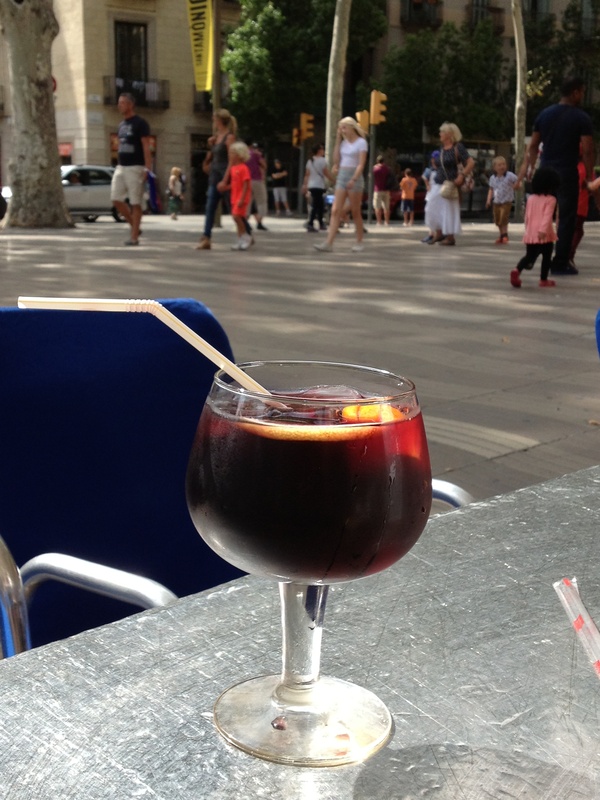 It was a long walk from our hotel so we decided to stop for a sangria and watch the world go by. At the end of La Rambla we stopped for tapas, one of my favourite things to eat in Spain. I love picking a bunch of small dishes to try and it is a great way to sample the cuisine. We’re moved on to another tapas place back down La Rambla before heading back to the hotel on the metro. It was amazing how busy the area was even though it was a weekday. 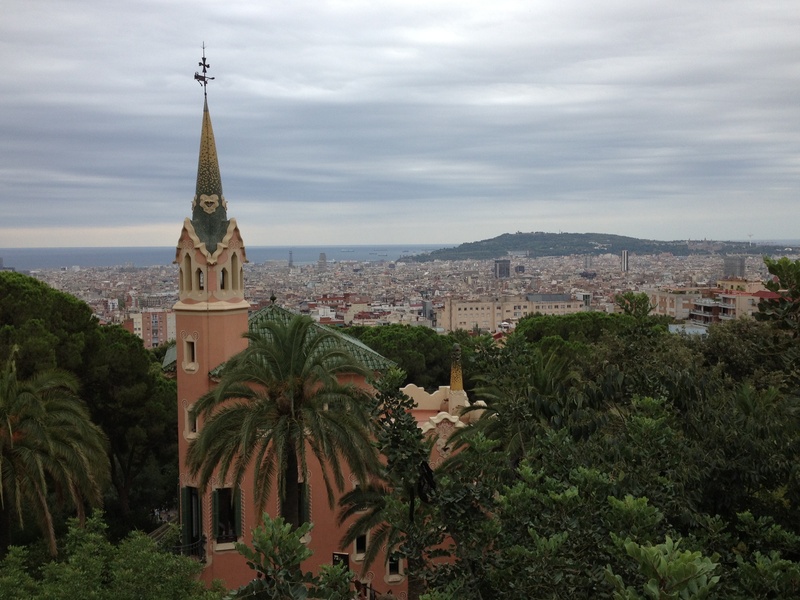 The next day we went to Park Guell which is a huge park with great views of the city and where you can escape the busy streets and relax. 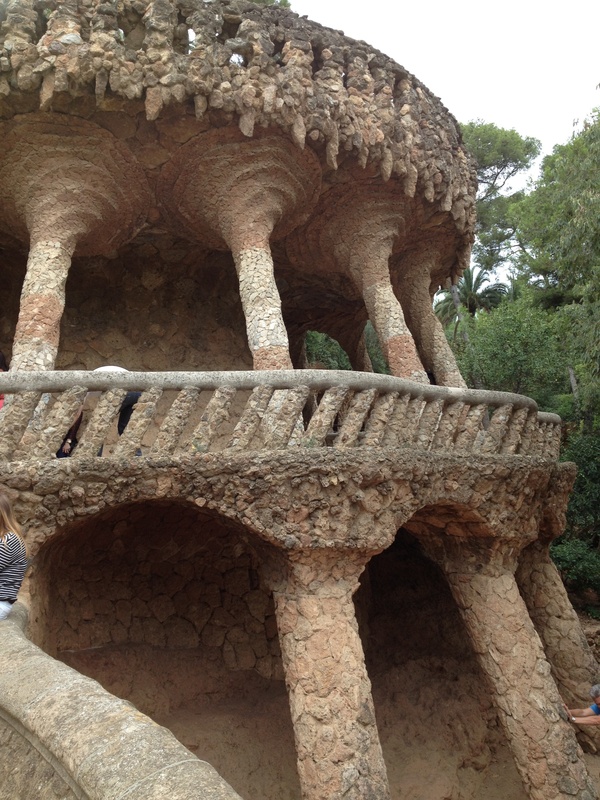 It was designed by Gaudi. The park is free except for Gaudi’s house (5 euros) and the architectural area (8 euros) which contains the most famous and colourful of Gaudi’s designs in the park. 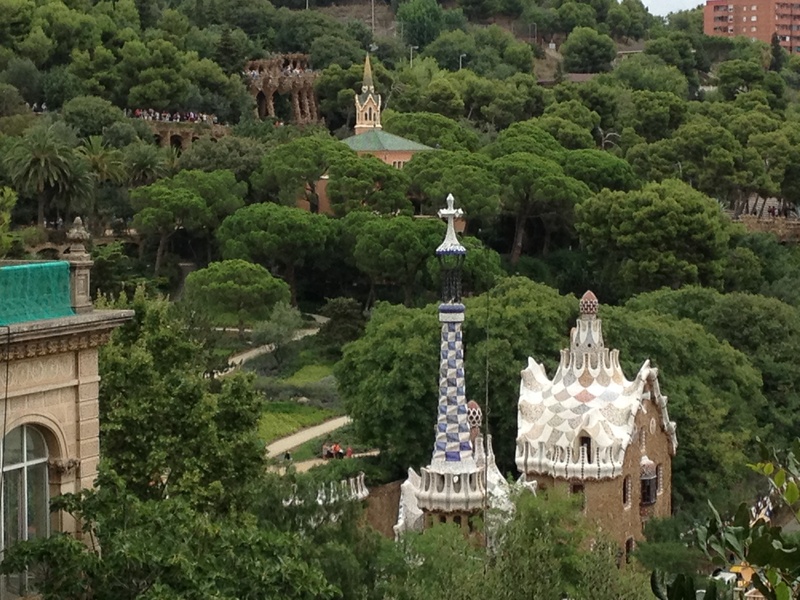 View of Park Guell architecture area and Gaudi’s house. Spiral columns along a path in the architectural area. We spent so much time in the park that all we had time for was lunch at a restaurant near La Sagrada Familia before heading to the airport. Next stop Majorca!